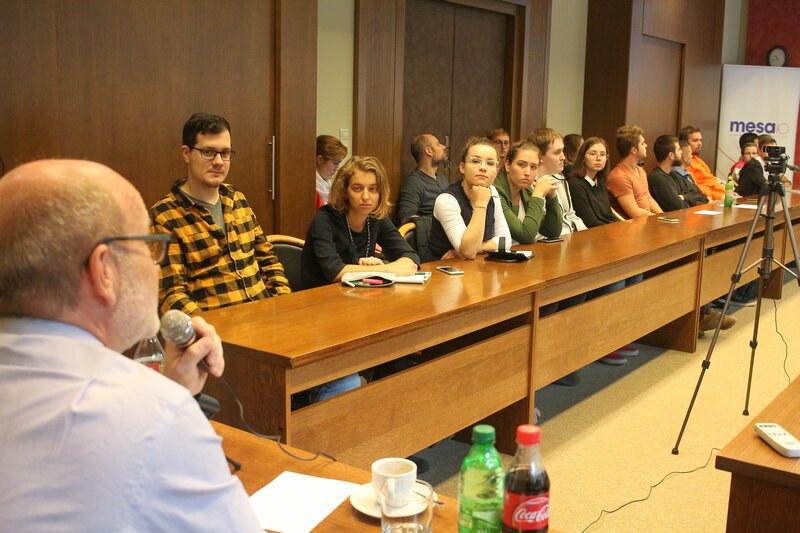 Students from seven universities from Belgrade, Novi Sad, Chisinau, Sarajevo, Podgorica, Bratislava and Banská Bystrica had the honor to attend the workshop “EUROPE, WHERETO?” with Ambassador Rastislav Káčer, Honorary Chairman of GLOBSEC, recognized expert in transatlantic relations, security and defense. 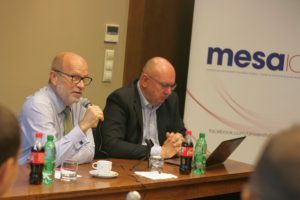 Former State Secretary of Slovakia’s Ministry of Defense, former Ambassador of Slovakia to the United States of America and Hungary. Ambassador Káčer touched upon the concept of the past and future crisis and challenges our societies will face, the multispeed Europe, the common European military, NATO-Russia relations and possibilities to increase EU´s democratic legitimacy and meaningful joint actions. The EU is an imperfect political project but it is the best system we have ever created. It supports cooperation, competition, and collaboration. However, the substantial changes happening in our society is changing it to its core. We can detect that the rise of populism, extremism, growing hate, anger, and aggression are threatening our values. We need to look for new solutions how to adapt but these solutions must be adequate. As Ambassador Káčer put it, “if you have a flu, you do not want to cure it with chemotherapy”. The EU is a large project that needs to accommodate various speeds of integration. In example, the Schengen zone is one integrated circle, the Eurozone is another one. The EU has always been multispeed which is creating a healthy and competitive environment if the rules are transparent, the integration is accessible based on transparent rules. There is a belief that NATO is slowly surrounding Russia, which might be seen as an offensive action rather than defensive. However, this is belief is a mistaken one. NATO attempted to engage Russia into its activities, such as joint military exercises. Russia declined these invitations. There are no NATO troops nearby the Russian borders, these are troops operated by the sovereign nations states. The NATO membership is voluntary choice of every sovereign nation, preceded by a long and exhausting negotiation. Just as any relationship, NATO is not an obligation but a sovereign choice. The decision making at NATO is very democratic, most of the decisions are made collectively, even unanimously and every country has a veto power. NATO in comparison to the Warsaw Pact is organizationally, structurally and technically a very different organization. In the Warsaw Pact, members did not have a possibility for collective decision making and had to follow orders from the central organization seated in Moscow. Making comparison between the Warsaw Pact and NATO therefore is a fallacy. We have a well-worked command structures within the NATO, therefore replacing it with something new would not be beneficial. Europe could be, however, more cooperative in term of the defense industry and technical standards (e.g. making air-to-air fueling easier). Also, the support of usage of European military goods could be strengthened if their technical superiority is similar. All relationships are tested during crisis as crisis can challenge and change dramatically many things. Every crisis is a test for endurance. Regarding the migration crisis which was also an emotional crisis, we partially passed it, we have taken some proper lessons to be learned and took responsibility. Migration is a complicated issue with no simple solution, we need to work on integration of these policies as well. During crisis populism arises, offering an easy (and often magical) solution for complex and hard issues. With Brexit we saw what populism and infowar can cause. Although Prime Minister Cameron thought the referendum will have a clear foreseeable outcome, nonetheless it was hijacked by the populists. We should not underestimate the power of populism. We need to strengthen resistance within our society, to be more resistant towards hate and easy shortcuts as there are none. It is always harder to be more constructive. Although people pushing for populist solutions during the crisis will be naturally eliminated from the political debates by the voters as they are not getting the mandate again by not delivering the promise, we need to strengthen active citizenships as well to be able to confront the populists. We also need strong and accountable journalism. We need to raise the bar of awareness on EU and its benefits for our everyday life. We need to advocate it and educate the people. People often neglect these benefits and then fall into the trap of populism. Europe was often compared to a mother with its gentle and soft power. 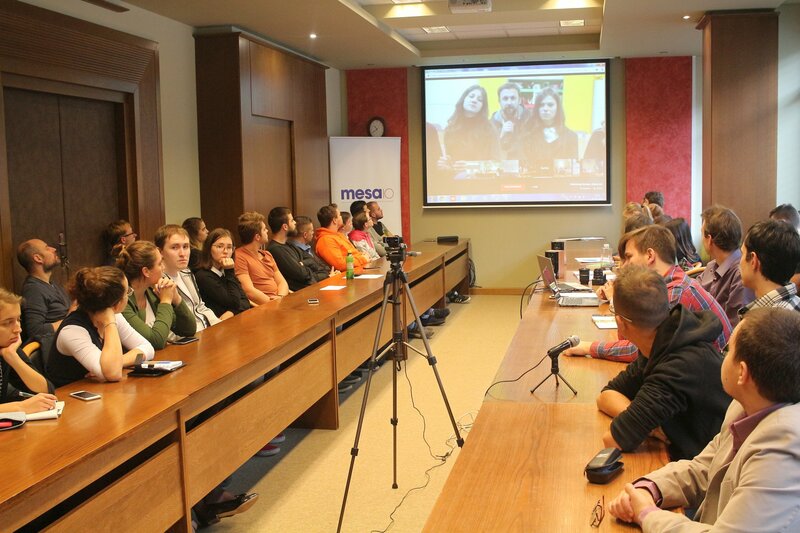 Last months the EU´s soft power is eroding, we started to question our solidarity towards others, and our values. The Greek crisis, the migration crisis, raise of political extremism are all contributing to this erosion of the soft power. Europe is not a perfect project but it is very flexible and tunable, compared to other regimes, e.g. authoritarian or autocracy ones which cannot adjust to the need of its citizens. We should limit joint actions in areas where the benefits of local management would be grater and focus on areas where joint actions are inevitable—e.g. common asylum policy. We don´t need joint actions in areas where decentralized locally managed ventures would increase competitiveness and benefit all of us in the long run. But the security of citizens is not one of these areas. 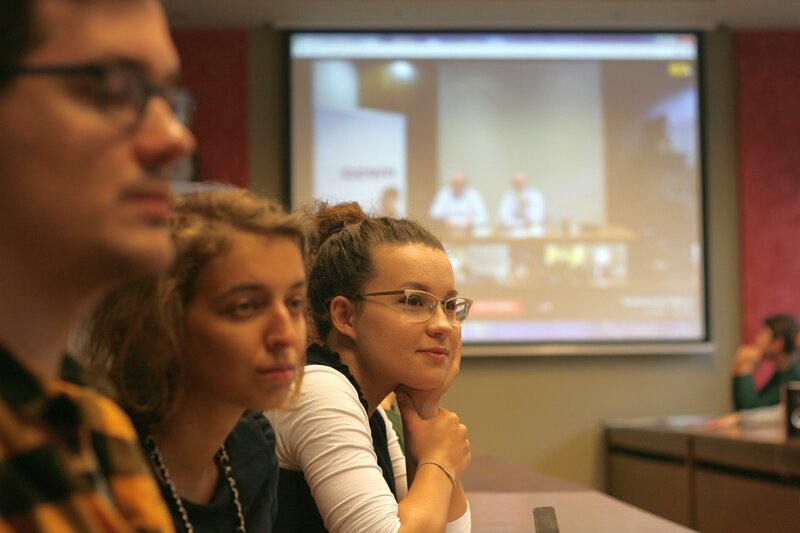 More information you can find on project page and facebook platform University Debates.